LOS ANGELES & REDWOOD CITY, Calif.--(BUSINESS WIRE)--In conjunction with the 2018 International Consumer Electronics Show, Incase, creator of design-driven solutions centered on protection and mobility, and Carbon, a leading digital 3D manufacturing company, today announced a global, multi-year partnership to transform the future of device protection with a revolutionary approach to how mobile protection is designed, engineered, manufactured, and delivered. Technology: A breakthrough printing process using both light and oxygen to generate high-quality production parts, Carbon’s robust M2 printer and proprietary Digital Light Synthesis™ (DLS) technology enables the creation of complex latticing structures, newly introduced to the mobile protection space. In contrast to the properties used in traditional injection molding, the intricate lattice structures generated with DLS are engineered to offer unparalleled performance with the generation of lightweight, durable elastomeric materials, which enables Incase to provide stronger elastomer protection solutions to customers. 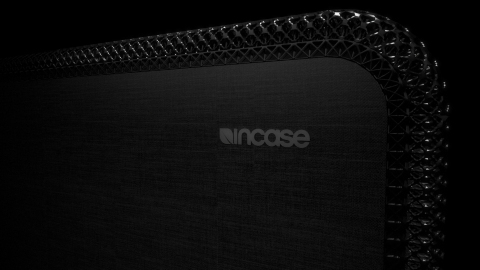 Incase and Carbon announce partnership to innovate the next breakthrough in device protection.